The Pro Ultra-Lite Wheels weigh in at an amazing 1 gram each, and with 100’s of hours of testing on our track – B.S.A. Racing and a League Championships under their belt, you can be assured these are not just any lightened and weakened 1 race wonders. This set of wheels usually yield an increase of speed by reducing on average 0.03-0.04 seconds in time with properly tuned car. Listening to a set of these wheels run, you can tell they are in a league of their own! Derby Worx® start with select mold number matched sets and C.N.C. machine them both inside and out to remove the maximum amount of mass from the wheel in all areas for maximum speed, but retain strength and durability. 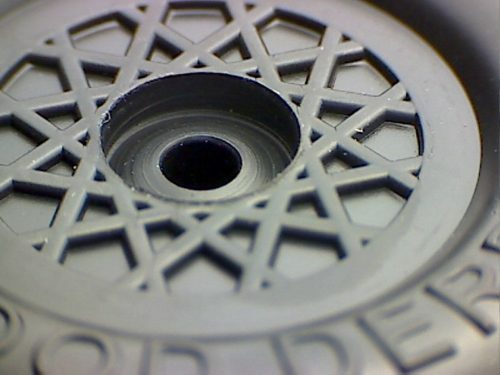 While the exterior of the wheel remains completely stock, all interior markings are removed. 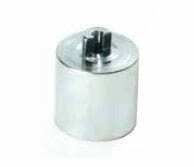 They work well with all lubricants (graphite or racing oils) and feature a Reamed and Burnished hub bore for easier alignment and greater speeds, plus both hub faces have been coned for greater friction reduction. 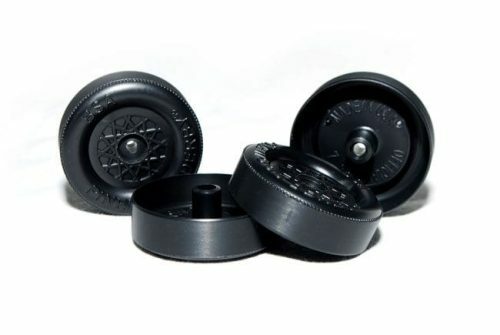 Fastest Pinewood Derby Speed Wheels that are a lighter than stock BSA wheels are design for decreasing rotational inertia, thus allowing quicker starts and overall times. 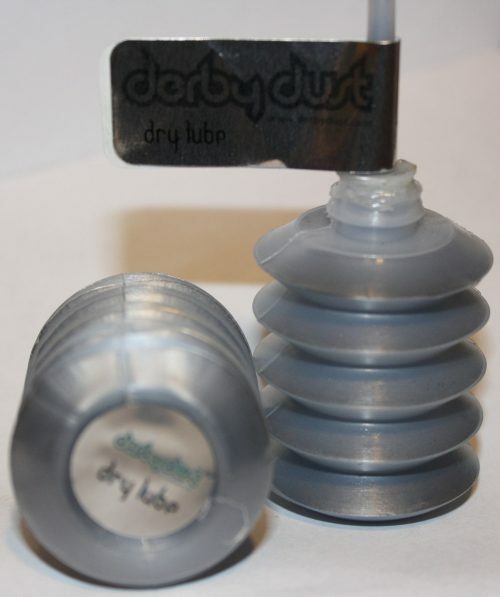 Derby Worx® Pro Ultra-Lites can be run as is, or polished with Novus / plastic polish to remove micro scratches. 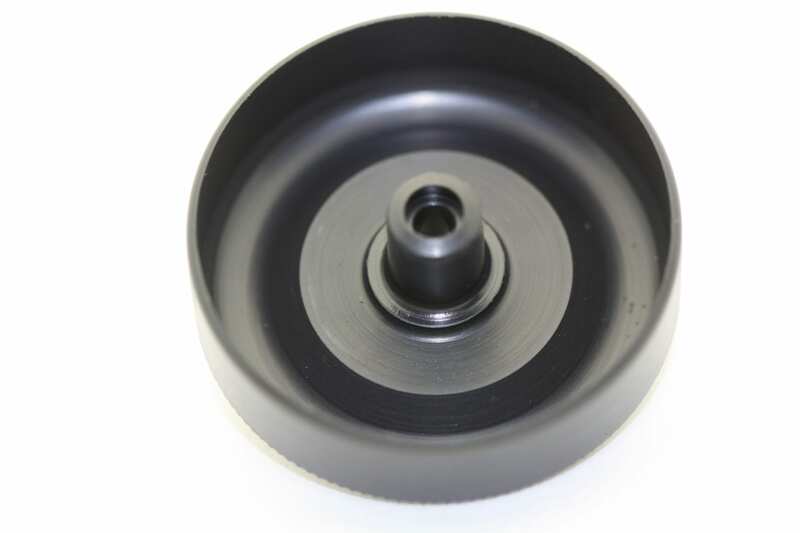 This set of Fastest Pinewood Derby Speed Wheels usually yield an increase of speed by reducing on average 0.03-0.04 seconds in time with properly tuned car. Listening to a set of these wheels run, you can tell they are in a league of their own! Learn all about speed wheels here. 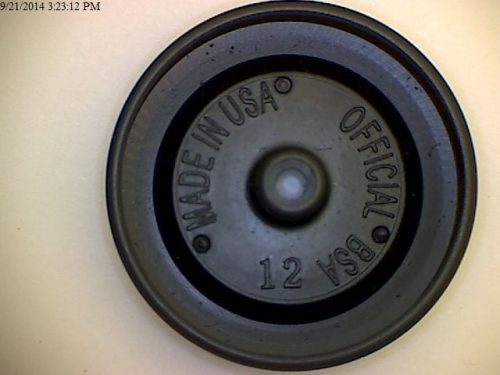 OD: > 1.170″ Bead/Tread Present. This wheel has had the outer diameter reduced. It will have bead/tread present. Inner bores have been reamed, and polished according to manufacturers specs. Mold Match only. Wheel edge and hub have been trued. BSA lettering removed on the inner part of the wheel. Inner portion of wheel has been milled to remove weight. Fastest Pinewood Derby Speed Wheels. On a Builders NOTE…. You will need a set of pliers to pull the axles once installed. 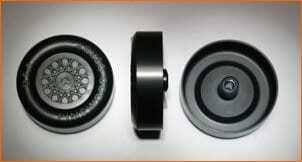 Because the Fastest Pinewood Derby Speed Wheels have been ligthend, you can no longer pull the axle out by the wheel. You will bend/warp out of round. Then the wheel will not roll correctly and you just wasted $$$. Please don’t let this be I told you so moment. The lathing operation removes a small amount of tread surface. The serrated edge is intact. The tread reduction is barely visible to the eye, but is measurable with a caliper. If your race restricts the use of lathed wheels, do not purchase these wheels. The weight of the wheel is reduced by removing all excess plastic from the underside of the wheel tread and the inside wheel face. NOTE: ALL BSA LETTERING IS REMOVED. BE SURE OF YOUR PACK RULES! BECAUSE OF THE EXTENSIVE MILLING OF THIS WHEEL, YOU MUST USE EXTRACTION PLIERS TO REMOVE THE WHEEL AFTER INSTALLATION. IF YOU ATTEMPT TO REMOVE WITH ANY OTHER METHOD YOU ARE GOING TO BREAK OR WARP YOUR WHEEL. GUARANTEED.